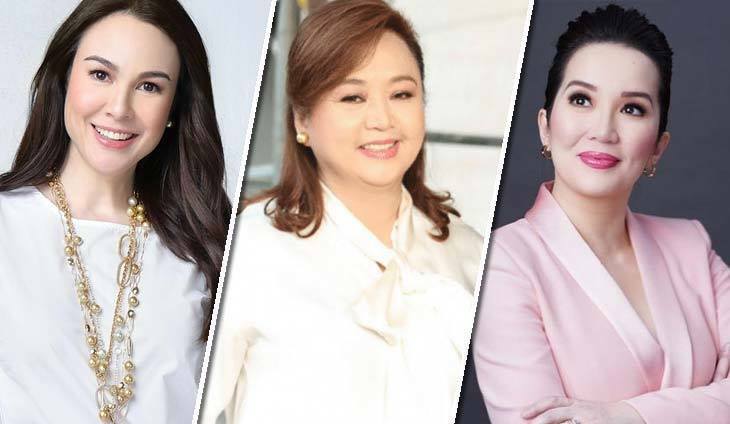 Gretchen Barretto is confident Kris Aquino can’t deny her claim that the former presidential sister pulled businesswoman Alice Eduardo out of her deep tax problems. Barretto revealed that Eduardo, who owns Sta. Elena Construction which cornered the controversial P5 billion Port Irene project, herself was tattling about how much she saved in tax liabilities (Gretchen claimed it was “in the millions to billions”) when Aquino brokered a deal with then Bureau of Internal Commissioner Kim Henares. Barretto said Eduardo was telling everyone she knew that all she paid Aquino for lending a helping hand was a few token gifts from the United States. “Pinagkakalat din ni Alice Eduardo at ng kanyang mga kapatid (Small Laude, wife of bilyonaryo Philip Palude) na tinulungan ni Kris Aquino at ang halaga lang daw ay binabayaran lang daw ng mga pinangsa-shopping ni Gary Garcia, the gay friend from LA, na he would buy things from the States and send those to Kris Aquino,” said Barretto in an in Instagram Live post. “May nagsasabing, ‘stop.’ I’m not gonna stop. I am a Filipino, we all pay taxes, we all work very hard, so my point is, prinotektahan ni Kris Aquino when she was in power, and she said, ‘I love Ate Alice.’ Whatever girl, you love her so much, in exchange for bags and clothes and shoes. That’s so not fair,” she added. Barretto has sided with Nicko Falcis in his bitter and public word war with his former business client and partner, Aquino. Barretto is the partner of bilyonaryo Tonyboy Cojuangco, a cousin of Aquino.